Alan Cumyn is the author of wide-ranging and often wildly different literary novels for children, young adults and adults. A two-time winner of the Ottawa Book Award, he has also had work shortlisted for the Governor General’s Award, the Giller Prize, and the Trillium Award. He teaches through the Vermont College of Fine Arts and is a past Chair of The Writers’ Union of Canada. In 2016 he received the Writers’ Trust of Canada’s Vicky Metcalf Award for body of work for young people. NOW AVAILABLE! 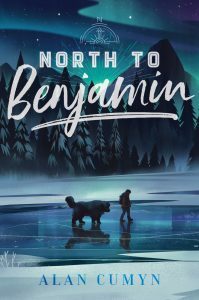 North to Benjamin, a new novel set in Dawson City, Yukon.